As it turns out the use of tenkara in warm water is one of the most requested topics from Tenkara Angler readers. I have been a long time practitioner of tenkara in cold water, warm water, and even salt water! I have long toted the benefits of using tenkara equipment and techniques in pursuit of bluegills and other panfish. It is hands down one of the most effective methods for catching panfish! If you have not tried this for yourself, I strongly encourage that you give it a go, especially for panfish. I am honored to have not one but two articles in this edition! 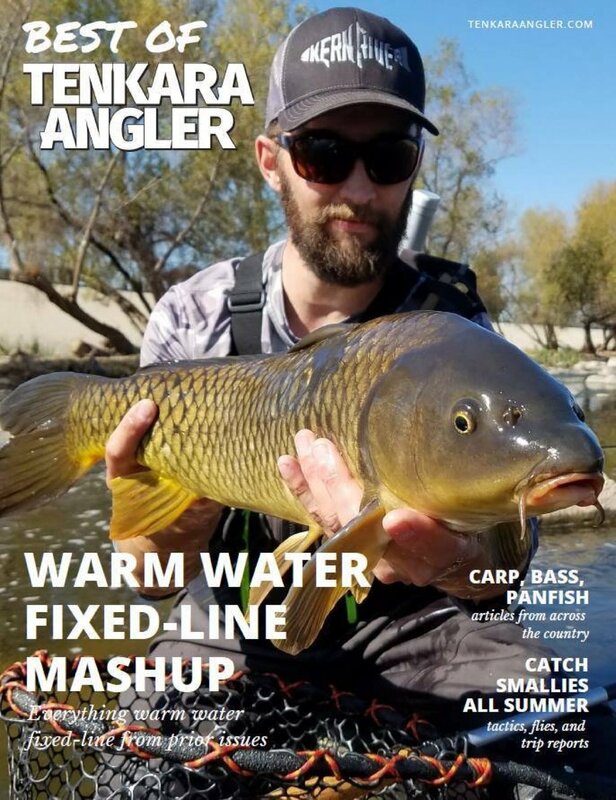 Inside the cover of this magazine, you will find an article on fishing for springtime crappie and one on a James Wood Special inspired kabari. Both from yours truly! Also, there are essays on fishing for everything from carp to smallmouth bass, as well as destination pieces and fly patterns. This edition is my favorite issue to date!